How Often Should Protestants Take Communion? How Often Do Baptist Churches Practice Communion? The majority of Southern Baptists serve communion on a quarterly basis. Communion, also known as The Lord's Supper, is one of two ordinances observed in the Baptist church. Baptists believe that Communion, the breaking of bread and drinking of wine, reminds the believer of the last supper Jesus shared with his disciples before his death. Baptists do not have a uniform practice concerning how often communion should be served. 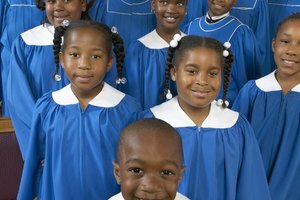 Some Baptist churches serve it each Sunday, others less frequently on a monthly or quarterly basis. 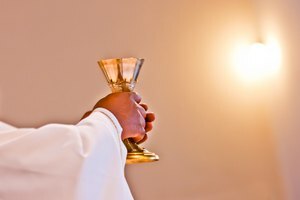 In contrast with other Christian traditions that view Communion as a sacrament, or outward and visible sign of inward and spiritual grace, Baptists have traditionally considered Communion to be an ordinance -- an act instituted by Christ -- to remember his suffering and death through the symbols of bread and wine or grape juice. Baptists observe Communion because Jesus ordered it and, rather than being a mystical rite to transport grace to humans, it is an expression of the grace that humans have already received from God. During Communion, Baptists remember the work of Christ and reflect on its significance for them; they also look to a future time when they will share a meal with Jesus upon his return. The frequency of Communion is not specified in Baptist polity and there is no unanimity as to its frequency based on relevant Scriptures. The Hiscox guide for Baptist churches, entitled "The Standard Manual for the Baptist Churches," states only that churches have an option as to when and how often they will serve Communion and that the practice has become to serve on the first Sunday of the month. 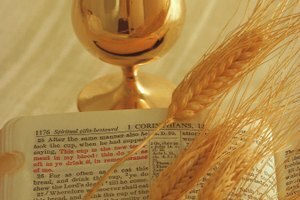 Some rely on Bible passages in Acts and 1 Corinthians stating that Christians in the early churches met each Lord's Day to break bread to support their position that Communion should be observed every Sunday. A mail survey conducted in 2012 by Lifeway Research indicates that 57 percent of Southern Baptist churches serve communion on a quarterly basis. The survey was sent to Southern Baptist church pastors; a total of 1,066 surveys were completed. 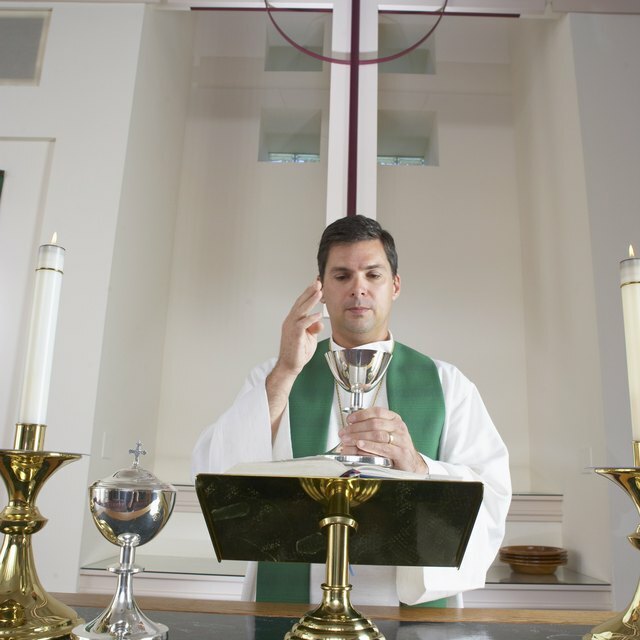 The same survey indicated that 15 percent of those churches serve communion five to 10 times per year and eight percent serve it less than four times annually. A mere one percent of Southern Baptist churches serve communion each week, according to the survey. The 2012 Lifeway Research mail survey also showed a remarkable difference in communion practices by Southern Baptist churches according to region. For example, 67 percent of churches in the Northeast and 45 percent in the West served communion monthly; that percentage was much lower in the Midwest and South where it was recorded at 17 and 14 percent, respectively. 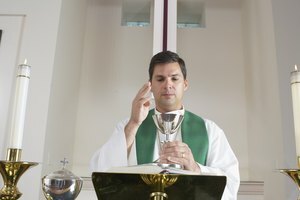 Conversely, the South and Midwest were more likely to serve communion on a quarterly basis -- 61 and 58 percent, respectively -- while that rate was much lower in the West, where it was served quarterly at 29 percent of churches and the Northeast where the percentage of churches serving communion quarterly was only 12. 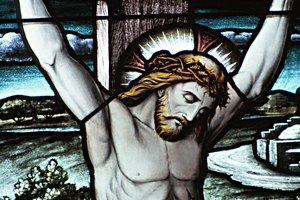 What Is the Difference in Taking Communion in a Presbyterian Church and a Catholic Church? 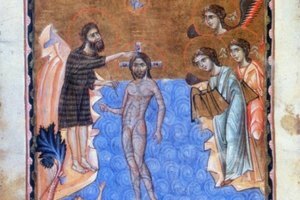 What Are the Sacraments Celebrated in the Baptist Church? Longren, Trudie. "How Often Do Baptist Churches Practice Communion?" Synonym, https://classroom.synonym.com/how-often-do-baptist-churches-practice-communion-12087376.html. 29 September 2017.